Once again Brie Larson could use some help while doing promotions as her latest fiasco sees her getting a bit nasty with The Avengers: Endgame co-star Chris Hemsworth. 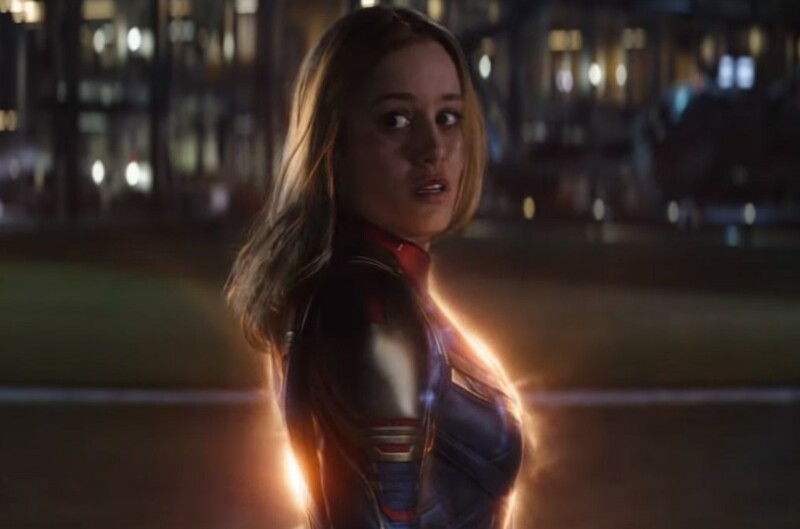 In a clip from an interview released by Entertainment Tonight on Twitter, Brie Larson remarks that she did her own stunts because that is what she thought everyone did. Chris Hemsworth then makes the big mistake of comparing her to a white dude, which sees Larson explode. "No! I'll be the first me. Not the next Tom Cruise. Thank you VERY much," Larson fires back. Earlier today also saw Entertainment Tonight post more from the interview where she again gets testy with the Thor actor who jokes and offers a compliment in that she stole their hearts. "Oh, Chris, that's really nice," Larson bites back. "I'm still stronger than you, you know. So..."
Update: Another interview surfaces with Brie Larson acting sort of strange regarding Chris Hemsworth and Thor. Brie Larson has been in the hot seat regarding various comments while promoting her Marvel movies, and there is even a rumor that she doesn't get along with her Avengers co-stars. Interestingly enough, we see Marvel PR chose to pair Brie Larson with Chris Hemsworth and Don Cheadle in interviews and not stick her with the girls, Scarlett Johansson and Danai Gurira. Kevin Feige has also confirmed that Brie Larson is the new face of the MCU going forward, which a lot of fans are worried and not happy about. With good reason by the look and sound of things. The Avengers: Endgame has an April 26, 2019 release.